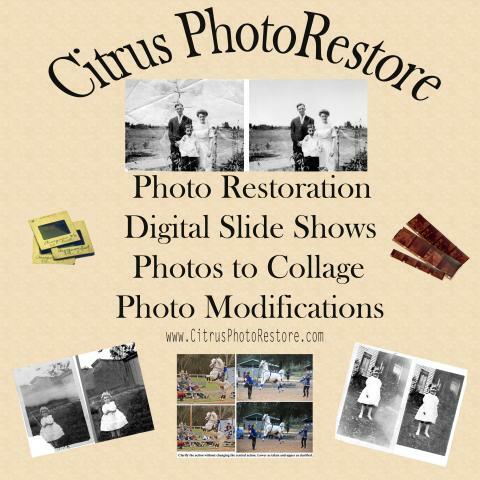 Citrus PhotoRestore is a new business in Citrus County, Florida. Services include restoration of family memories in the form of pictures, slides and negatives. We also create slide shows and photo montages for special events such as reunions, retirements and services of rememberance.